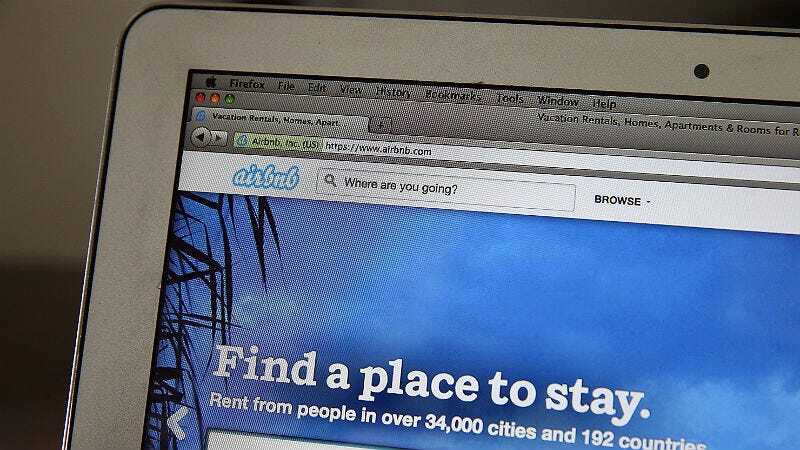 New research on Airbnb use may not surprise you: users with “black-sounding” names have a harder time booking rooms than users with “white-sounding” names. Great. Using data from 6,400 messages sent by fake profiles inquiring about reservations in five cities, the researchers determined that Airbnb guests — who, under the company’s system, are approved by hosts — were more likely to have their booking approved if they had names more closely associated with white people. Hopeful guests with stereotypically white names—like “Meredith O’Brien,” which was a name used in the study—garnered positive responses 50 percent of the time. Guests with black names—like “Rasheed Jackson,” also used—received positive responses at a rate of 42 percent. Airbnb says it’s trying to tackle this bias: it’s talking to Harvard’s researchers and “committed to making Airbnb one of the most open, trusted, diverse, transparent communities in the world.” It’s unclear how they’d be able to do that, though, without cutting user names and photos, or else changing the actual racial biases...of the world.